Iquitos is a city in the Amazon jungle. It is accessible only by plane or by river. This was the first Suzuki event ever held in the jungle region of Peru. 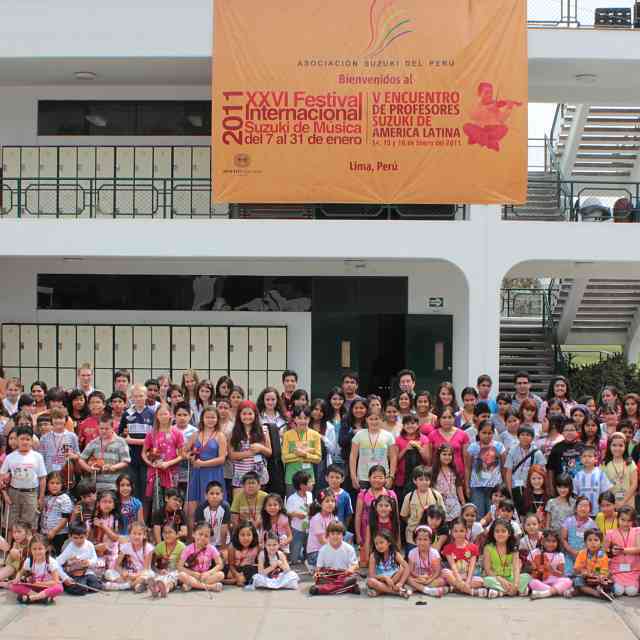 Everything began in July 2009 in California, when Gretchen Klein, a participant in the Holy Names University Teacher Training Institute expressed interest in helping the Suzuki program in Peru. She was particularly interested in Iquitos as she had been there. Gretchen made a donation to our Latin American Scholarship Fund, earmarking it for a participant from the jungle city of Iquitos. 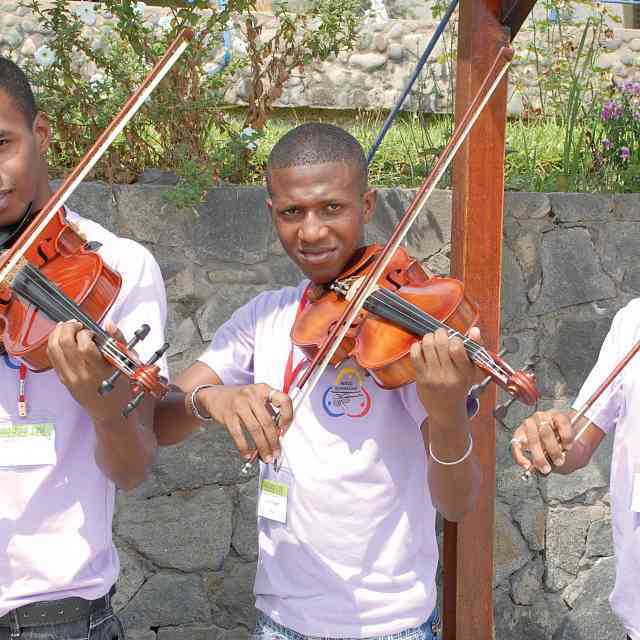 Violin teacher Daniel Manrique, who has a vision for forming music programs in Iquitos and in the surrounding jungle areas, was awarded a full tuition scholarship and airfare to attend the 25th International Festival held in Lima in January 2010. After completing all available courses, Daniel enthusiastically agreed to host the 10th National Workshop of the SAP in Iquitos. Daniel was able to get sponsorship from local schools, a local university and the regional branch of the National Institute for Culture. In Lima, our SAP secretary Deisy Cotrera and Workshop Coordinator Roberta Centurion worked on the details of the program. The Workshop consisted of three courses for teachers, all offered with official credit from the Peruvian Ministry of Education: philosophy, talent education and early childhood music. There were also classes for children in recorder, piano, cello and violin. Thanks to support from the U.S. Embassy in Peru, seven teachers and one student travelled from Lima: teachers Roberta Centurion, Luciana Castillo, Paola Espejo, Caroline Fraser, Rosario Kong, Maria Luisa Labarthe, and Annika Petrozzi, and student Maylin Pre Kong. More than two hundred participants attended the workshop: enthusiastic children, eager parents and dedicated teachers. They arrived each day on motor bikes (sometimes entire families sharing a “moto”) and in “mototaxis.” The heat in the middle of the day made it obligatory to take a three-hour lunch break and hence enjoy a wonderful siesta. An impressive final concert marked the end of this historic event in the Peruvian Jungle. Previously printed in American Suzuki Journal 39.1. Reprinted with permission. Copyright © 2010 Suzuki Association of the Americas, Inc.
Caroline Fraser is from Scotland. She graduated from Edinburgh University with a Bachelor of Music degree and studied at the Royal Academy of Music in London, obtaining the diplomas Licentiate of the Royal Academy of Music (piano) and Licentiate of the Royal College of Music (violin). She obtained a Masters of Music degree with Kodaly emphasis from Holy Names University (HNU) in California. From 1992 until 1999 she was lecturer in music theory at HNU, where she continues to direct the Summer Suzuki Piano Teacher Training Institute. 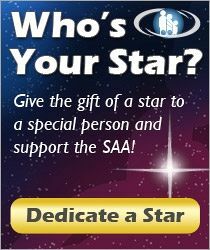 Caroline is an ESA, SAA and ARSO teacher trainer. She currently lives in Lima, Peru and is a Latin American liaison for the SAA. She has given teacher training courses all over Latin America and the USA, in Canada, Europe, Asia and Australia. 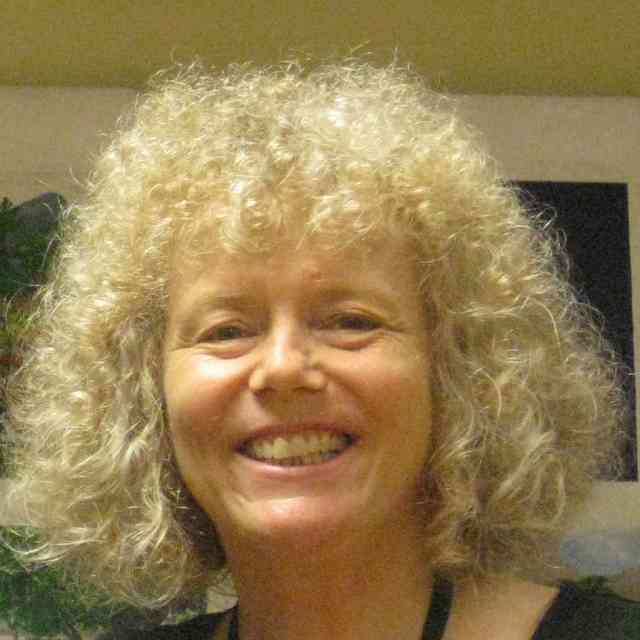 She is passionate about promoting a natural approach to teaching music reading and theory for Suzuki students, frequently giving courses on these topics.